The Hi.K.E.R. 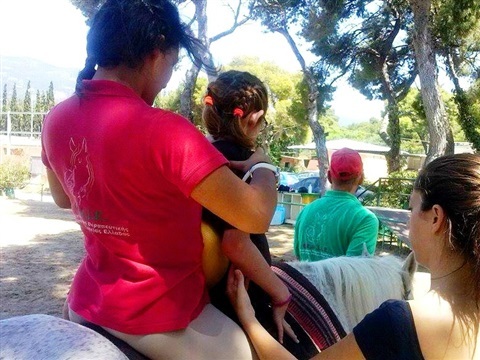 approach was introduced in the field of therapeutic riding in 2009 by John Nikolaou, Nikos Polyzos and Nikos Nikolaidis. It is a holistic approach to therapeutic riding which is based on the neuroplasticity of the brain (the ability to change or modify both its structure and its operation mode). These modifications which are carried out both on an anatomical and a functional level, are realized in two ways: either by modifying the existing neural circuitry or by creating a completely new neural circuit (neurogenesis in the areas of the hippocampus, the olfactory lobe and the neocortex in the frontal and temporal lobes ). 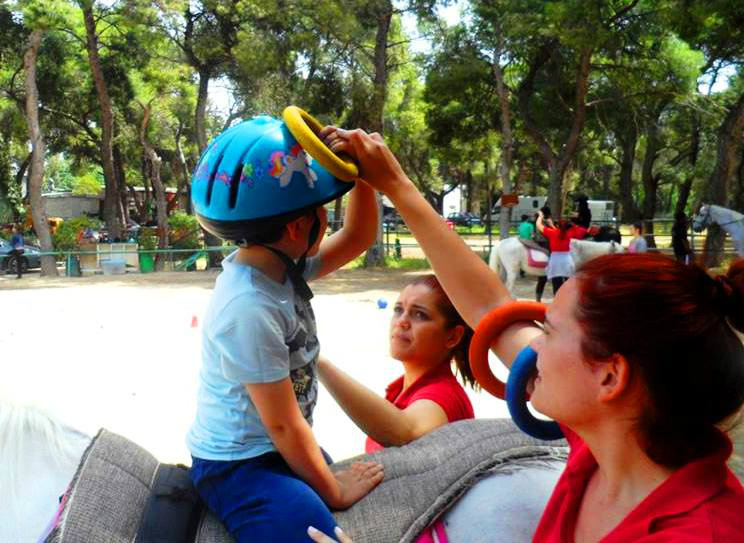 One of the major factors that contribute to the creation of these modifications is an environment enriched with diverse and numerous stimuli, very similar in fact to the environment where therapeutic riding sessions are conducted (with games and activities, much richer in stimuli than the usual every day environment). There, the participant is an active or passive receipiant of many diverse stimuli, which simultaneously affect/ act on several body systems such as the musculoskeletal, the sensory, the emotional and the cardiovascular. Neuron modifications associated with this form of "environmental enrichment" include: increase of the size of the brain, increase of cortical thickness, increase in neuron size, increase of dendritic branching, increase of synapses per neuron and increase of the number of glial cells. In such a controlled and specially designed environment, the experience provides all the necessary conditions in order to launch the process of modification within the brain, taking advantage of the property of neuroplasticity, since it is known that our experience in the world requires intense multi-sensory stimulation: this the condition necessary for the brain to develop its abilities: to grow, to learn, to work and to change. 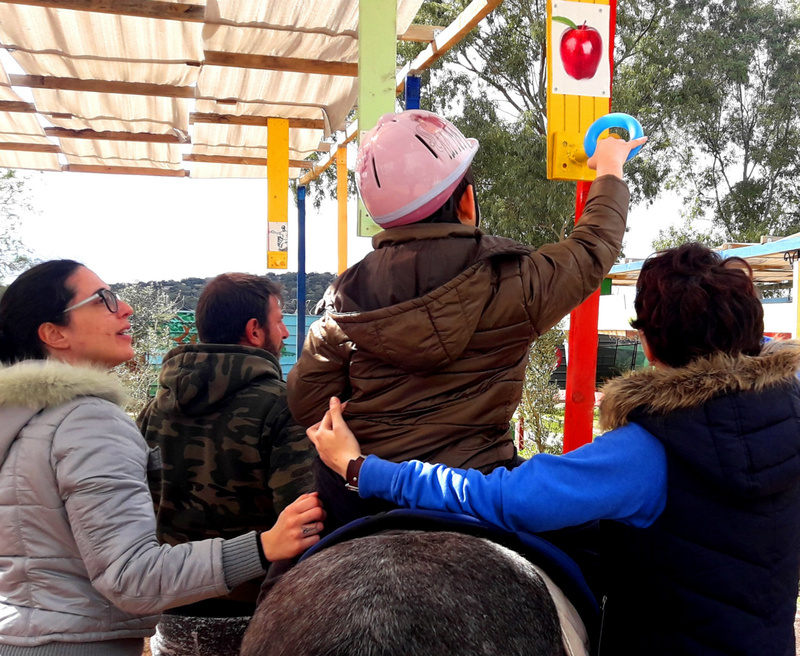 Stimulation is supported by two major factors: 1. the motivation (in this case the games, etc) which strengthens the process of learning and 2. The repetition of the stimulus(i), which is crucial in the process of neuroplasticity. 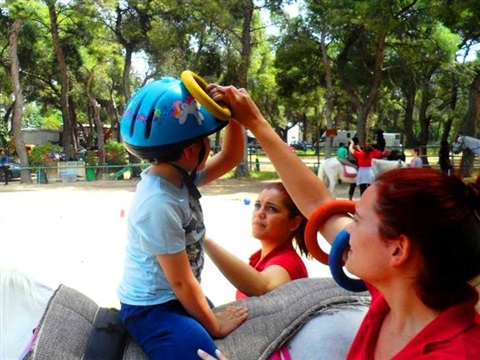 Philosophy of the Hi.K.E.R approach: the process of change taking place within the brain, in the field of therapeutic riding, requires the creation of a structured training framework. This “construction” relates to the creation of the appropriate conditions which will lead to the interaction between the patient and the surrounding environment. This, in turn, will promote motor, perceptual, social, emotional and cognitive learning and facilitate the multifaceted development of the patient. To achieve this, the therapist must provide patients with a wide range of experiences via which they will have the opportunity to explore, discover, create and achieve, while learning about themselves, their bodies and their feelings. The Hi.K.E.R. therapist should organize the learning environment in a way that promotes the kinetic, emotional and social education of the patients while, at the same time, constructing an appropriate mental “culture” of learning which will promote independence of thought and action and improve their quality of life. 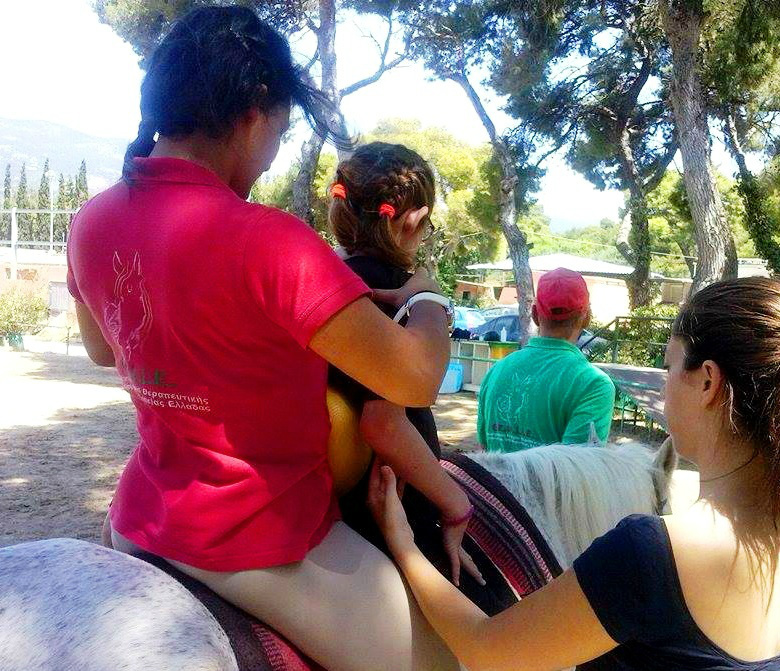 Knowledge of the anatomy and kinesiology of the horse and the stimuli that are thus transferred to the rider. Be part of the multidisciplinary rehabilitation team and knows how to collaborate with other specialists. Assess and record the clinical condition of the patient. Design a personalized therapeutic intervention program. Establish therapeutic and operational objectives for each patient individually. 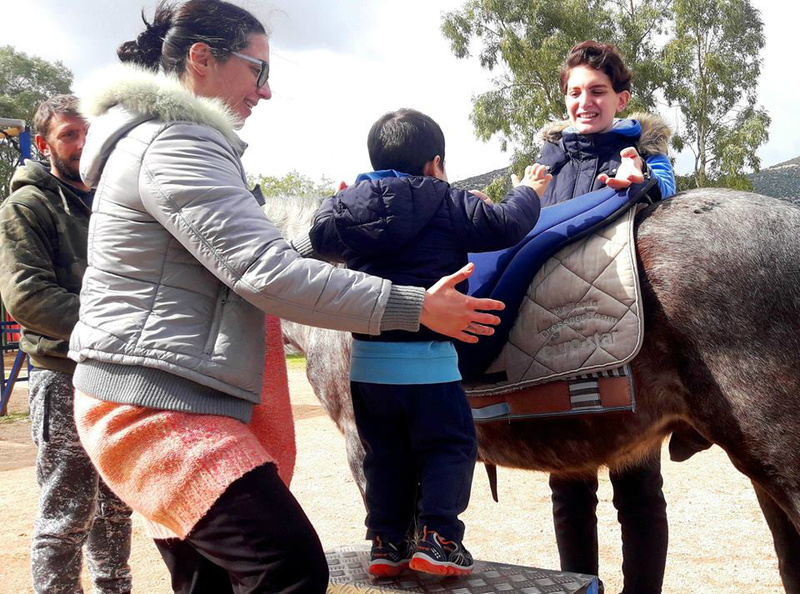 Help to create a relationship between horse and patient, which will act as an motivation for the patient to work on improving his/her motor and mental difficulties. Respect the particularities of each patient and allows patients to work calmly and in accordance to his/her potential. Promote movement, communication, independence, cooperation, sociability, initiative, respect and self-discipline. The therapeutic intervention is carried out through a pyramidal system of education, in which hippotherapy is an integral part of the overall and individual rehabilitation program created for each patient.